The general election results in the UK took many pundits, politicians as well as the general public, by surprise. The pre-election speculations on potential coalitions and political deals came to no avail, as the Conservatives mastered a tight majority in the House of Commons and will for the next five years govern on their own. With the promise of the EU referendum by the end of 2017, whilst the Conservatives are pushing to have it in 2016, and with the UK now dangerously balancing on the verge of becoming obsolete in the global context, the issue of Europe will now be even more pertinent than before. Before the British public heads to the polls, David Cameron will attempt to re-negotiate the terms of the UK’s membership in Europe (although as of today he is yet to specify what those terms are). Any major changes to the UK’s membership will naturally require a treaty change which would, in turn, have to be approved by the remaining 27 countries – a challenge that has been called by some, like the Council President Donald Tusk, a ‘mission impossible’. On a good day – that is when the political elites of Europe negotiate changes that are designed to bring benefits to the majority if not all of EU citizens – getting a unanimous agreement is difficult. Assuming that the changes demanded by David Cameron will mostly benefit only UK citizens and at the expense of the rest of Europe, it would be almost foolish to assume there will be a great appetite for a treaty change. Without such a treaty change, however, re-negotiation can only deliver limited outcomes which will not please the hardline, anti-EU and ideologically driven Conservative members of the Parliament. David Cameron is therefore stuck between a rock and a hard place as his hands are tied behind his back, both by what he will be expected to deliver and what will be deliverable within the means of the conceivable. On the latter point, EU leaders such as Germany’s Angela Merkel and the Commission President Jean-Claude Juncker have already rejected the idea of, for example, doing away with one of the most fundamental freedoms that the EU membership offers – freedom of movement. The EU leaders will be very careful not to give too much ground to the UK government, in fear of creating precedence for other member states with similar tendencies to follow the suit. However, not all is lost for David Cameron. Unlike many in the Conservative party and David Cameron himself, the EU leaders are more pragmatic than dogmatic about Brexit and are willing to compromise. Nevertheless, if any concessions are given to the UK, these will be rather minor in nature and will be a result more of the Continent’s pragmatism more than Cameron’s negotiating skills. At the moment, with most of the EU member states wishing for the UK to stay in the EU, it makes sense that the rest of Europe tries its best to accommodate the demands put forth by the British government. After all, if the final verdict is given by the general public in a referendum, allowing Cameron to come home with some level of satisfaction may do more to ensure Britain’s future in the EU than humiliating Cameron, and in effect providing the anti-EU movement with another stick to beat Brussels with. But whether the UK will manage to re-negotiate its membership, slowly navigating itself out of the biggest single market and political union, or stay part of this union remains to be seen. One thing is for sure, though; a fierce debate that is soon expected to unravel between both sides of the argument will resonate in all corners of the European Continent. Not least because the UK is not the only country with reservations towards the EU, but also because many countries, those with a more pro-European attitude, will have to make their minds up as to what extent a two-tier Europe can be led by the UK’s ‘uniqueness’ function in the future. Therefore, Britain leaving the EU is just as much a national issue as it is a European one, and the debate will be held not only in the UK, but also in all EU capitals and Brussels in particular. It will no doubt be a lively debate but one that should also be based on facts and positive aspirations. 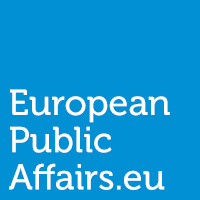 We at the Europeanpublicaffairs.eu will continue to contribute to that debate. We will highlight the positives and point out areas where the EU needs reform. But we will do so in a constructive manner, because we believe that while we are often reminded of the price of EU membership, it is time that we also learn its value because without doing so we will be reduced to narrow-minded nation states led by those thriving to divide rather than unite us. Previous65th anniversary of the Schuman Declaration: Retirement time! NextLocal and Regional Elections in Spain 2015: Now, closer than ever to Europe.